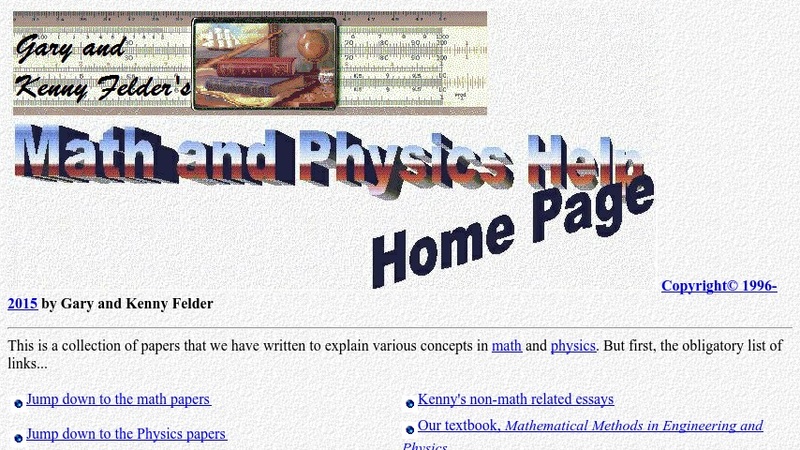 This is a collection of papers that high school teacher Kenny Fleder and his brother Gary, a professor in the Physics Department of Smith College, wrote to explain various concepts in math and physics. Some of the mathematical concepts addressed here include: "Why is it when you multiply two negative numbers you get a positive number?," base eight calculations, an overview of trigonometry, and an explanation of how to use select models of scientific calculators. They invite visitors to email them and let them know if the papers have been helpful or if they'd like other concepts explained.